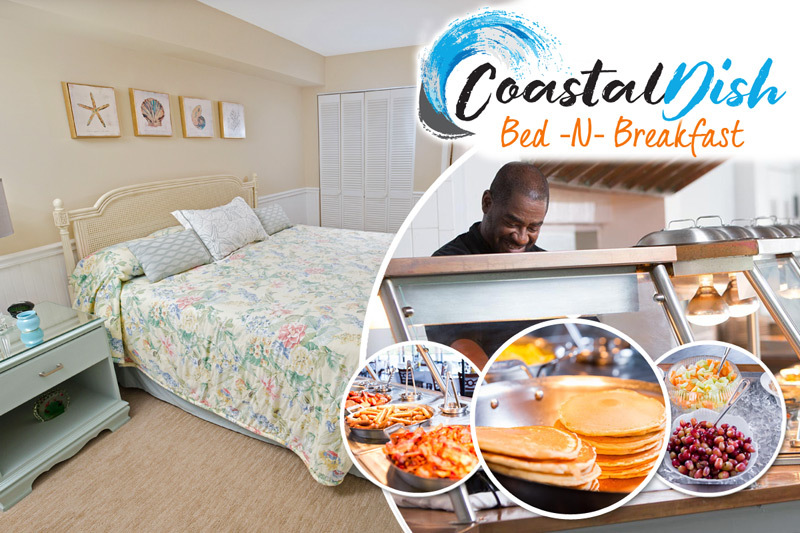 * Brunch/Dinner: All dads love to eat, and the Hammock Coast area that surrounds Litchfield Beach is a bounty of seafood restaurants and country cooking cafes to satisfy the heartiest of appetites. At the Murrells Inlet Marshwalk, several waterfront restaurants are offering Father's Day specials, such as an all-you-can-eat brunch at the Dead Dog Saloon or a surf-and-turf dinner special at Bovines/Wahoos. More fine dining establishments like Frank's in Pawleys Island, Litchfield Fish House in Litchfield Beach, The Claw House in Murrells Inlet and Gulfstream Cafe in Garden City Beach are sure to serve your father a feast fit for a king. * Fishing: Most dads will use any excuse to go fishing, and our guests are surrounded by nice opportunities to wet a line. Ports in nearby Murrells Inlet and Winyah Bay in Georgetown offer full- and half-day fishing trips in the Atlantic Ocean, and other outfitters take anglers to the unique fishing grounds around the Waccamaw Neck. Landlubbers can go fishing off the jetty at Huntington Beach State Park, or at nearby fishing piers in Garden City Beach and Surfside Beach. Surf fishing off the coast of the Litchfield Beach & Golf Resort is also permitted away from swimmers. * Golf: Dad will love you for giving the gift of golf, especially at the award-winning courses in the Lowcountry. Located in the heart of the Waccamaw Golf Trail, Litchfield Beach guests can play several top-rated layouts, including Caledonia Golf & Fish Club, True Blue Golf Links, The River Club, Wachesaw Plantation, Willbrook Plantation and many more. Perhaps putt-putt golf is more your speed, and there are several courses on the South Strand at Mutiny Bay and Gilligan's Island Funland. For a more relaxing day of golf, find a nice place to watch the final round of the US Open, which takes place on Father's Day. * Racing: Dads with a need for speed can find plenty of options for putting the pedal to the metal for Father's Day. Myrtle Beach Speedway holds a special night of racing on Saturday evening, and the track also hosts the Richard Petty Driving Experience so dad can get behind the wheel of a real NASCAR racing machine. Local go-kart tracks also offer a fun way for some friendly Father's Day competition. * Waterpark: For dads who are still kids at heart, a trip to the waterpark goes a long way on Father's Day. Check out Wild Water & Wheels in Garden City Beach for a day of waterslides, speed chutes, lazy rivers and a wave pool. In addition to a dozen water attractions, fathers can also spend their special day by racing go-karts, riding the bumper boats or playing video games in the arcade. 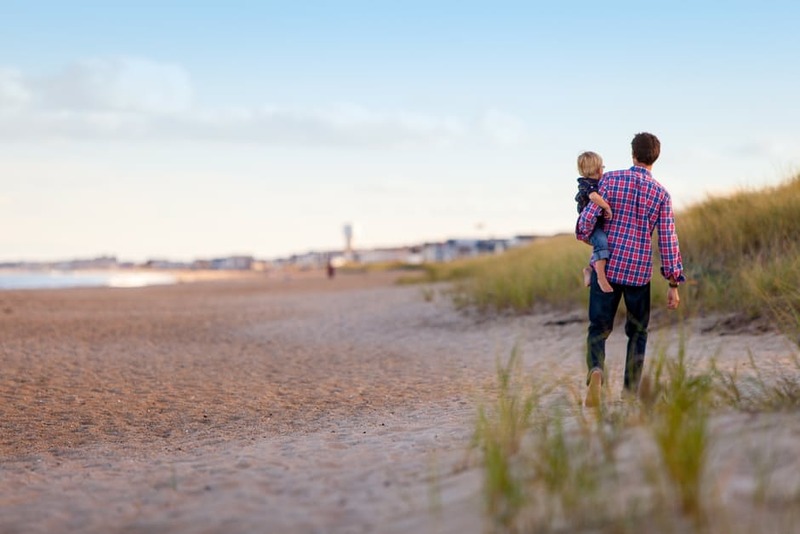 After a fun-filled Father's Day on the South Strand, bring dad back to Litchfield Beach & Golf Resort for a relaxing evening. It’s the perfect way to make your dad feel like a king on Father’s Day.